Things have not changed all that much over the years. I have great pride and satisfaction in finding the best ingredients and pairing them in the best way possible to create a uniquely flavourful product. 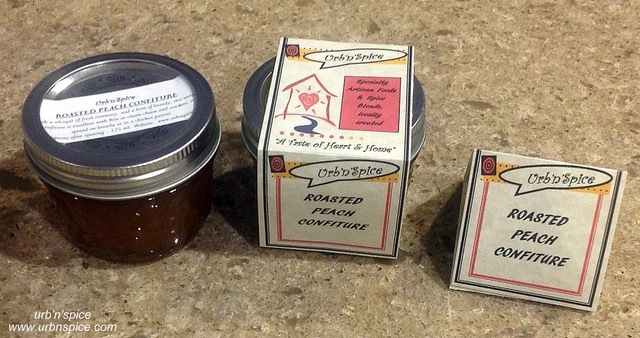 I still am proud of seeing little jars of confitures and jellies lined up ready for labelling or wrapped in boxes ready for shipping to customers. I am immensely proud of the feedback I receive from my customers and the repeat business that arises from this labour of love. The very concentrated flavours are the result of onions being caramelized to a yield of 20% of the original product. The result is uniquely savoury and sweet with a depth of flavour that is unmatched. 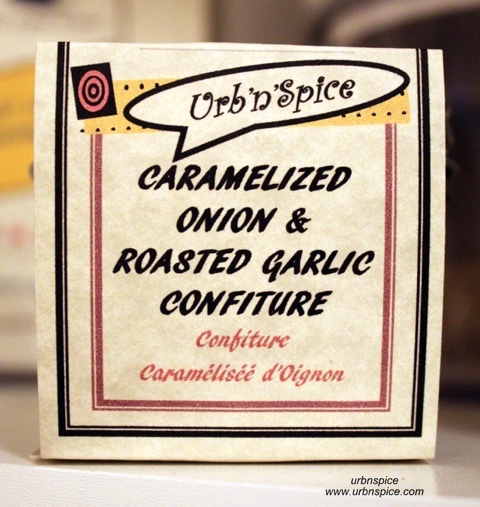 Chef Talk: Caramelized Onion and Roasted Garlic Confiture is wonderful with cheese plates with more robust cheeses such as Smoked Gouda or Old Cheddar or Red Leicester and when combined with lamb, pork, beef or wild game sausage, will always “wow” your guests. 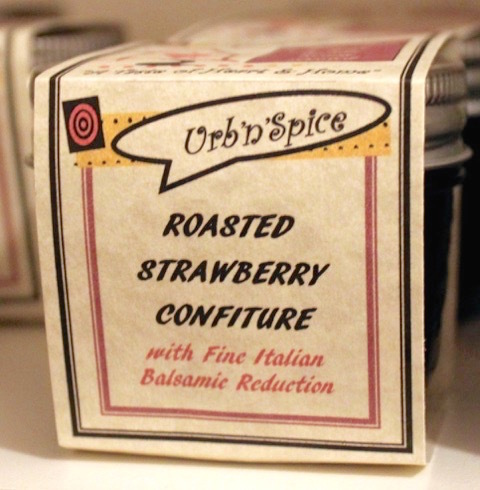 The uniqueness of this confiture is the result of slow roasting strawberries in the French fashion together with Tahitian Vanilla Bean to a concentrated reduction that is 25% yield of the original product. Chef Talk: The highly concentrated flavours are best complemented with cheeses such as Cream, Mascarpone, and Brie. Try it on vanilla ice cream, toasted buttery brioche, or wherever your imagination will take you. 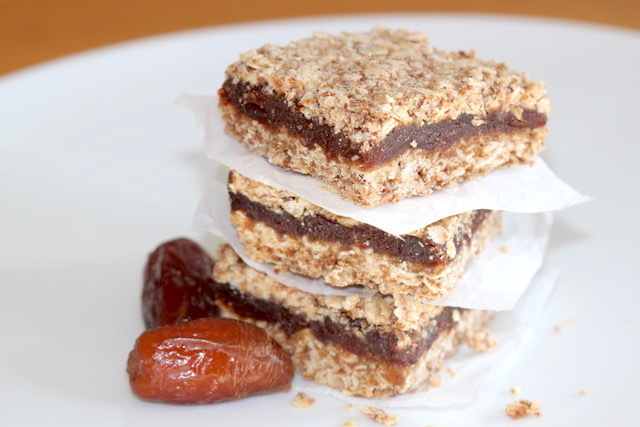 It will become indispensable in your pantry for those occasions when only the best will do. When the concentrated pomegranate molasses combined with the red wine and port, the resultant flavour has a depth and finish which is distinctive to this blending of ingredients. Chef Talk: This rich jelly is a must with your next cheese platter. 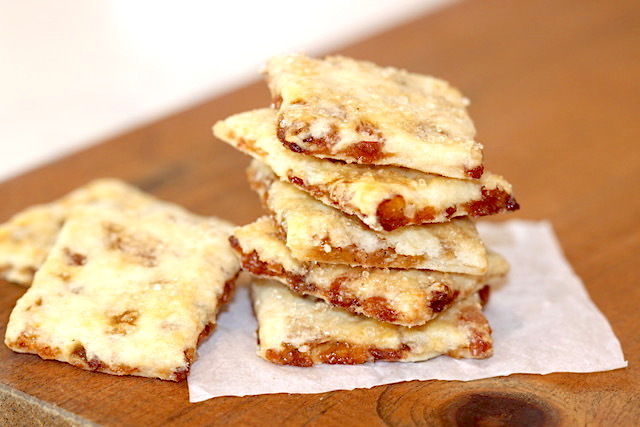 It is particularly tasty with goat cheese with a little drizzle of honey and some fresh rosemary on sliced fresh baguette or crackers. The depth of flavour can easily compliment duck breast or ham, dried sausage or wild game. 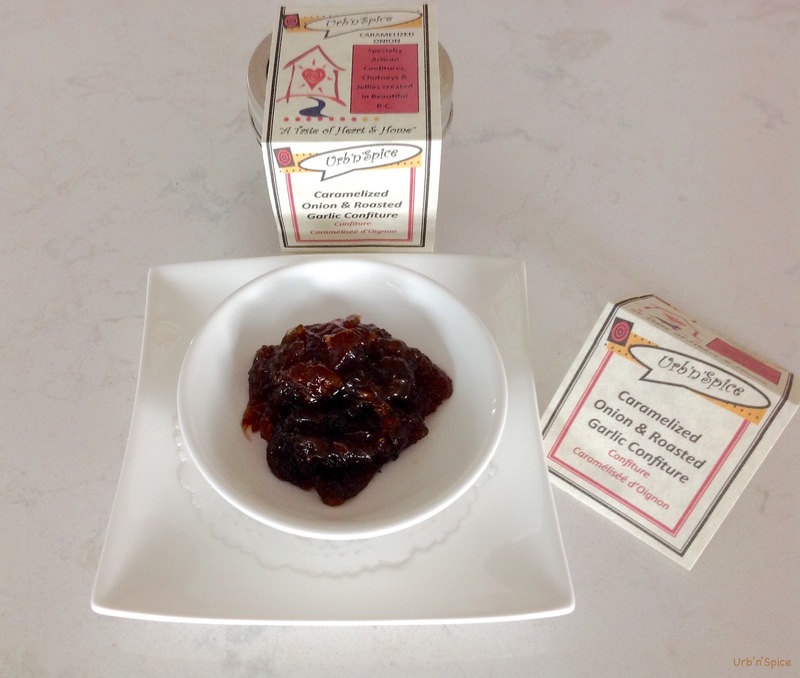 The dried cherries provide a concentrated flavour boost to the compote when combined with cranberries. The result is a tart, richly coloured product. Chef Talk: Try this rich compote with a selection of soft cheeses or baked Brie. As well, it compliments poultry or duck dishes or charcuterie platters. The combination of the Tawny Port with the aged Balsamic provides a flavour explosion which as a unique & tangy finish on your palate. Chef Talk: This delicious jelly is a pleasure to serve with any roasted meat or poultry or cheese & charcuterie platters. It is also lovely with pate. For more information about UrbnSpice confitures, compotes and jellies, please contact me, Denise Paré-Watson at urbnspice@gmail.com or phone or text 778-581-4253. For a list of available confitures, please contact me. 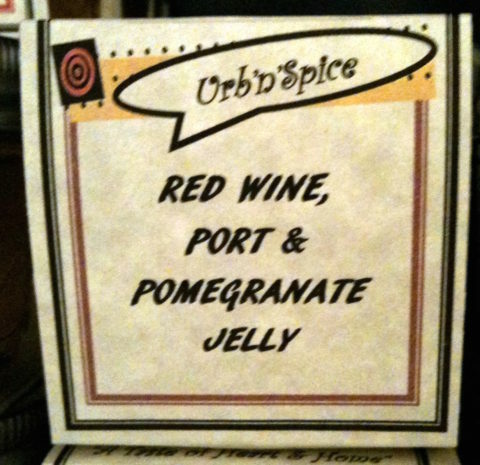 “UrbnSpice Tastings” – a pairing of confitures, chutneys and compotes with cheese and charcuterie, together with wine are available upon request for a small fee/person either in your home or mine. Seasonal products are available in limited quantities – first come, first served. 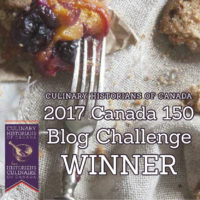 These may include the ever popular Roasted Peach Confiture with Rosemary and Brandy, Urb’n’Spice Mulling Spices packets as well as “Holiday Treats Preserve” – a delightful and delicious combination of cranberry, pineapple and pear compote.